The Global Universities Partnership on Environment for Sustainability (GUPES) is one of the flagship programmes of UNEP’s Environmental Education and Training Unit (EETU). GUPES was the result of a consultative forum organized by UNEP and its partners in Nairobi, on November 19, 2010 to deliberate on ways of escalating UNEP’s engagement with universities. It builds on the successes of the Mainstreaming Environment and Sustainability in African Universities (MESA), the Mainstreaming Environment and Sustainability in the Caribbean Universities (MESCA), the Asia-Pacific Regional University Consortium (RUC) and the IAU Global Higher Education for Sustainability Programme (GHESP) which ceased to operate in 2005. At present, over 520 university representatives and regional partners/focal points from five different continents are part of the growing GUPES network. 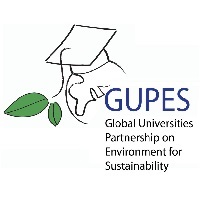 GUPES aims to promote the integration of environment and sustainability concerns into teaching, research, community engagement, the management of universities including greening of university infrastructure / facilities / operations, as well as to enhance student engagement and participation in sustainability activities both within and beyond universities. This is done in accordance to the outcome document of the Rio+20 Summit - The Future We Want. IAU and GUPES-UNEP signed an MoUin 2014 to pursue these goals jointly.